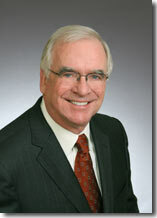 ACCL » McWhorter, Val S.
Mr. McWhorter has focused his practice in the area of Construction law for over 40 years. His practice has included representing contractors in large, complex claims arising under federal, state, and local government contracts, as well as contracts between private parties. These projects have included bridges, dams, transit systems, power plants and other larger infrastructure projects, nationwide. Mr. McWhorter has engaged in substantial litigation before various Federal Boards of Contract Appeals, Federal Courts and State Courts. He has also served as an advocate in the mediation of construction contract disputes before numerous mediators involving a wide variety of projects. Mr. McWhorter’s success in resolving construction contract disputes earned him nomination as Construction Man of the Year with Engineering News Record in 1991. He is a featured speaker on construction related issues at the National Construction Superconference, Industry and Bar Association meetings. Mr. McWhorter is a member of the Moles and the Beavers and the American College of Construction Lawyers where he served on the Board of Governors.